Home » Australia » Blog » Featured Articles » Travel » UK » RECOLLECTIONS OF CHILDHOOD. Patricia’s Favourite Article of 2017. 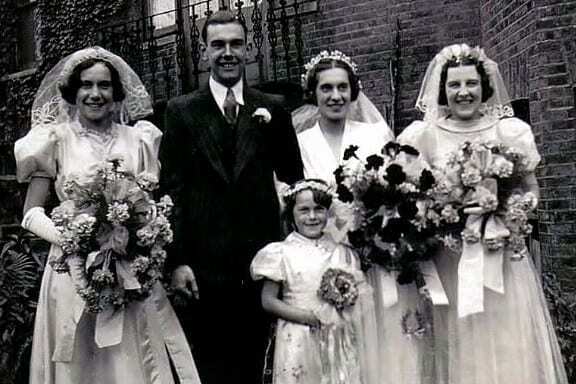 The happiest memory I have of childhood was being a flower girl for my sister Peggy when she got married in 1939, all the people that I loved were there. 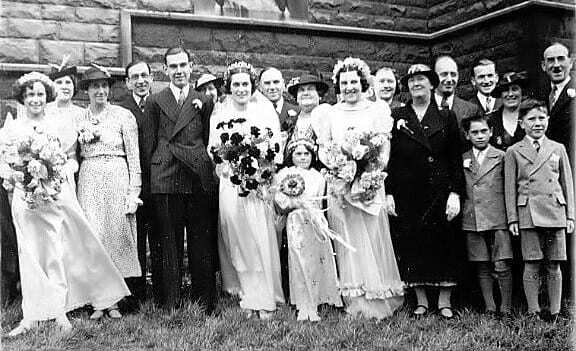 As I look at the black and white photograph of this wonderful occasion I can recall the day quite clearly. 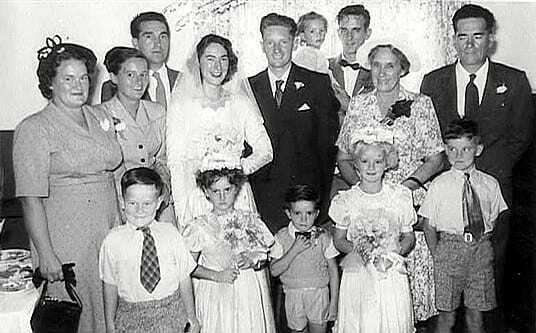 Everyone was extremely happy and the atmosphere jovial, it was a very special and significant day as Peggy was the eldest in the family of six and the first to be married. I was six years old and to be a flower girl was an absolute dream. I wore a pretty pink silk dress with little bunches of roses all over the material and made just for me by mother. It had short puff sleeves, a Peter Pan collar, and trailed all the way to my feet. A net and band of pink artificial roses adorned my head, and I carried a sweet posy of fresh flowers with long trailing ribbons. However, the highlight was the shoes. These were white patent leather with a little band across the front and a tiny button. To have a brand new pair of shoes that looked so grown up was awesome. 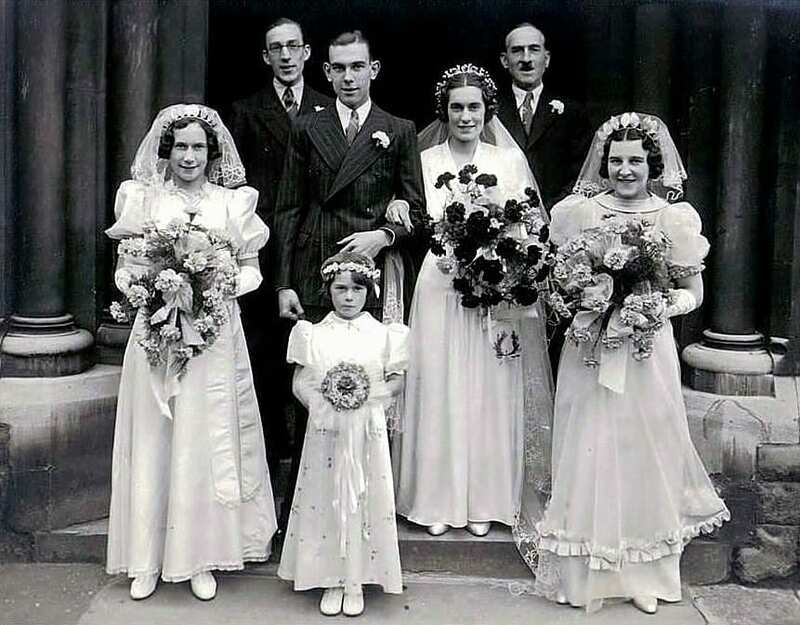 It was a rainbow wedding with my sister Dorothy wearing a lilac taffeta gown also made by mother. The groom’s sister Mary wearing pale blue and they both carried pink carnations. Needless to say the bride looked magnificent in her white satin gown, which was offset by her bouquet of deep red carnations and a sweet horseshoe for luck. The day was beautiful with ideal August weather and perfect for photographs taken both at the church, which was directly opposite 116a Sinclair Road, Kensington where the couple were to live, and later in the mini back garden. I can recall the rich perfume of Lily-of-the-valley which grew profusely and filled the air; everything seemed to be just right with the world. Little did we know on that idyllic day how quickly our lives were to change, with everyone scattered here and there after the declaration of War on September 3rd. One month after the wedding. 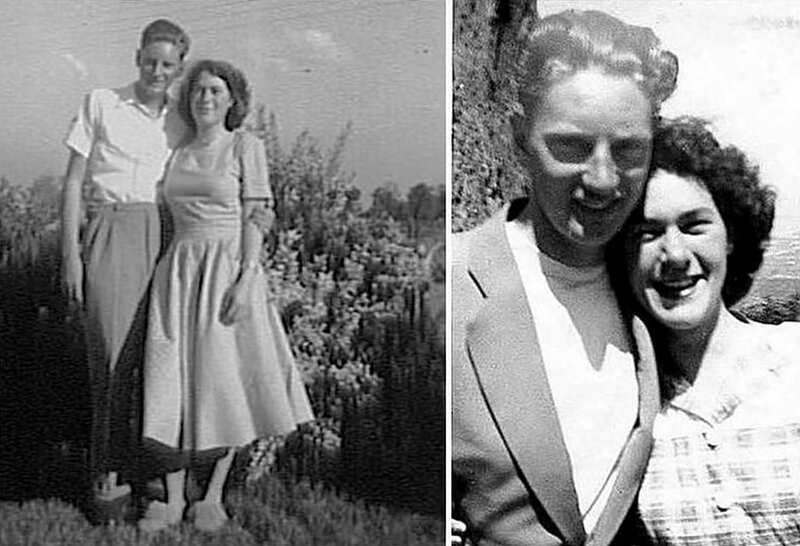 The bride and groom were parted with John in the Army and Peggy working on munitions. Six years would pass before they were totally reunited once again. They got the “Load of Hay” last night ‘twas such a pretty pub. The Waltons? They went with it as did all the grub. So if you hear that siren a wailin’ in the air. Don’t be a silly billy and stay out for a dare. Run quickly and take cover, make for the nearest house. Pretend for just a moment that you’re a tiny mouse. Find a hole and burrow in it, stay there for a while. Until the raid is over, then come out with a smile. If you’re half way to school, stay with Mrs. Brown. Otherwise keep running till you reach the town. And don’t forget your gas-mask whatever else you do. For it may well protect you, now what I say is true. Tinned fruit arrived today from dear old Aussie land. They’ll queue for that tomorrow all day I’ll have to stand. One day we’ll cross the ocean to that warm and sunny place. I promise you we’ll live there in all that glorious space. The ‘Load of Hay’ was a very pretty country Pub opposite the Playhouse Theatre in Greenford. On September twenty fourth, 1940 a one ton parachute mine (bomb) was dropped on it and five people were killed and two injured. I think at the time it was thought to have been a stray bomb, and that they may have been aiming for Northolt Aerodrome which was very important and nearby. Anyway, it was early in the war and took us all by surprise. Jean Walton sat next to me at school so I suppose that news always stayed with me. When we stood outside an unknown gate. But through our eyes were never seen. For all the while that we were there. Was time that we could hardly bear. To be with parents in other parts. Would they come and take us home? Let us with others bombed streets roam. We thought that we would surely die. I can’t believe we had such hate. Rolling hills soft green grass. But not for that small girl and boy. When war broke out it was decided that young children should be sent away from London and cities. I’m sure it was a difficult decision for parents; however, as the poem tells you we were never happy. Peter was especially unhappy as he missed mother and he was never a very strong child. They wanted to split us up but fortunately we were allowed to stay together. It was really a little village with a manor house, and run along those lines. I can’t remember how many evacuees there were but we were assembled together with our gasmasks and labels, and then picked out by the foster parents. A bunch of scruffy London kids who had probably never been to the country, what a shock for all concerned. Keep in mind I was only six years old. Mr. and Mrs. Jones were not used to children and were very religious people. We went to chapel three times on Sundays walking all the way. 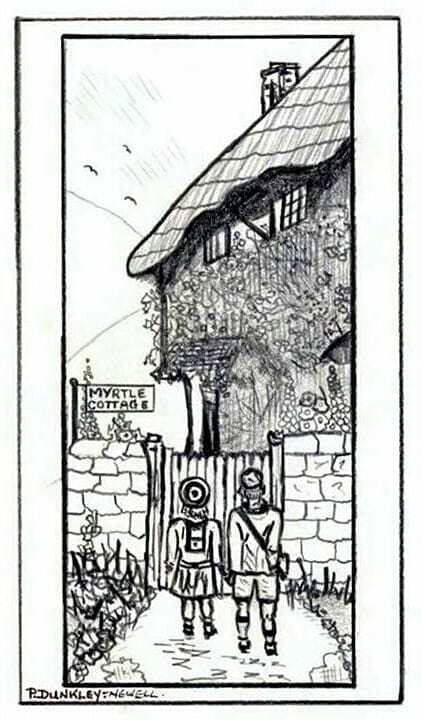 ‘Myrtle Cottage’ was a holiday house or a B & B before the war. It had quite a lot of land and lots of chickens running free. They grew vegetables in season and we used to help in picking, or digging them up, beetroots as I recall. I can remember the beetroots being picked because Peter put them in a bucket and then stood on them to push them down; he got a whack for that. In the winter it was very very cold being so close to the sea and extremely windy. One time I was lifted right off my feet and Peter caught me and pulled me back down, true story, we were collecting eggs at the time. 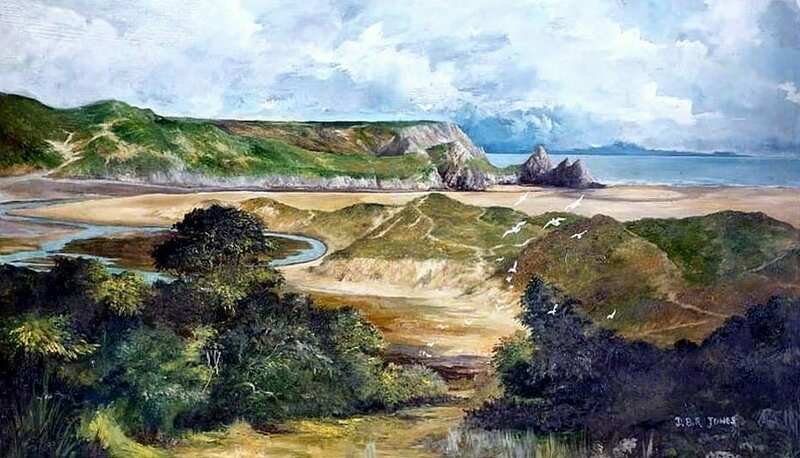 It was a beautiful area Nicholaston on the Gower Peninsular, mainly a holiday region. We loved the beach which was massive and we used to run on the sand with the other evacuees. There was a little village school which we all went to and were taught together. We did keep in touch with one boy his name was Bernard Buckle, he too had come from Greenford. The beach was a source of fascination as debris used to wash up all the time from the ships that were bombed. It was amazing what turned up, tins of food and bits of clothing, all sorts of odds and ends, fortunately no bodies. Peter collected lots of things; he used to like doing that. I have to say the Jones’s were mean people and our food was terrible. We had lumpy porridge and dry bread every day and no nice things at all. They had our ration books which were like gold so were happy about that. We were always very clean and had a bath nightly in a round tin affair, Peter first then me, ghastly when I think of it. Cleanliness is next to Godliness. Amen. 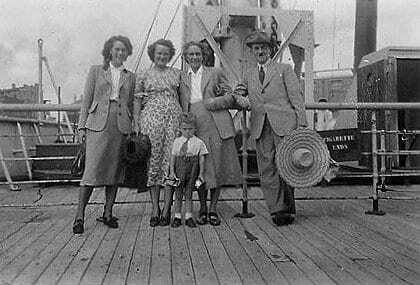 Fortunately for us the town of Swansea was bombed and very badly, so Mother came down and insisted that we come home. If we were going to get bombed we would do so together. It was a terrible year in our lives. Peter got quinsy when we returned home and was very ill, and later on he developed a spot on his lung. Mother attributed all this to the evacuation, and she was probably right. Poor Peter he had to be sent away to a convalescent home, fortunately he recovered and it was cleared up. When Reg and I visited “Myrtle Cottage” in the l980’s we were standing outside looking at the place when a man came out of the house and invited us in. 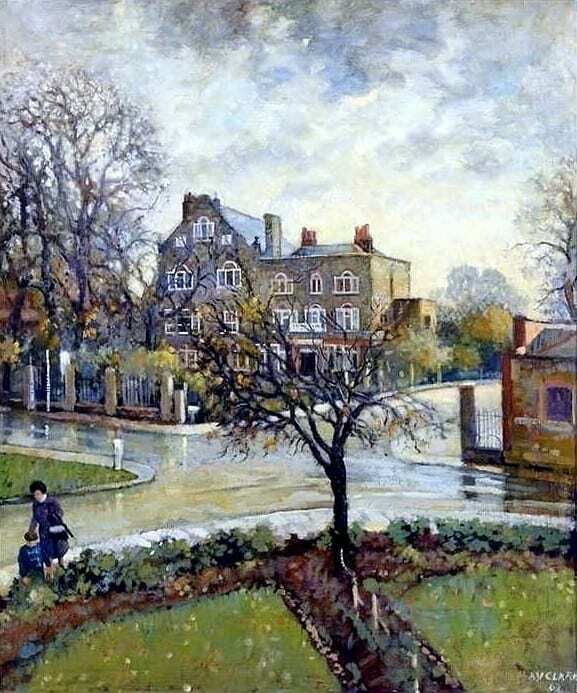 His name was Charles Dolman and he was a lovely Londoner, he had been a florist and grew the flowers. He and his wife had now retired to Wales. Well, as we got talking and I told him about being evacuated to the cottage and my maiden name Newell, he became very excited and told us his middle name was Newell. Charles Newell Dolman and his godfather was Thomas Newell. Needless to say we were astonished; apparently his father and Dad had been together in the Guards and were old friends. He showed us photos and all sorts of memorabilia of his family. We formed a close friendship with the Dolman’s and they kept in touch for many years also with Peter and Janine. We have lots of photos of them and the cottage. So it was a happy ending. The poem “Return to Myrtle Cottage” has now been published in the book called “The World at War”. It was picked up on the 24th June, 2013 by Forward Poetry of Peterborough. It is a very nice publication ISBN-978-184418-638-9 www.forwardpoetry.co.uk. It has two hundred and twenty six poems in it, and I am delighted to say that mine is number 226 and the last in the book. To which we ran helter skelter. Not to linger, not to tarry. We just learned to stay alive. Not to read and not to rhyme. A miracle for us at school. When war broke out air raid shelters were quickly built, both in schools and homes. There were two varieties for homes, the Anderson and the Morrison. Our Anderson shelter in the back garden was always wet and damp, but used regularly. As soon as the siren went we would trail down there, Dad, my sister Dorothy, Peter and I, including Bobbie the Dog who belonged to my brother Ted who was now in the air force, and mother who would always take the clock. There was one period when we did not bother to change into pyjamas for bed, but slept in our day garments as there were raids every night. I suppose that was the Blitz. Often we had other members of the family staying and they would also fit in the Anderson. It had bunks and we all squashed onto them one way and another. 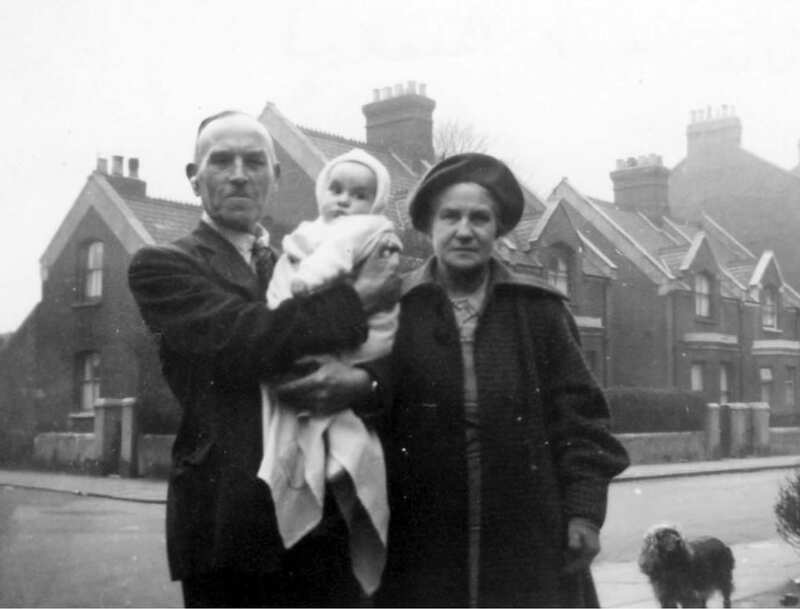 At one period I remember Nana, Aunt Vera, and Uncle Reg Pond staying with us, as Battersea where they lived was being badly bombed. It was in the heart of London. Aunt Vera was mother’s half sister, and the only child of Nana. 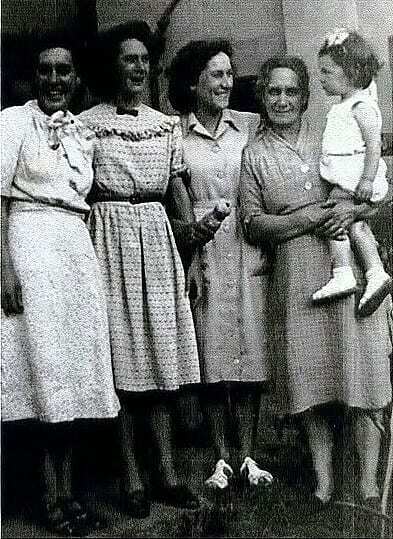 Mother’s mother died when she was four, and her father married the sister who reared all the children for him. Mum was very fond of Nana she was a sweet lady. The Morrison shelter was in the house and used for quickness when the bombs were falling. It was made of steel and ugly, it was like a table that you would sit under for protection. Peter and I used to play games under there, but it was very uncomfortable just sitting on the floor waiting. School Shelters were long and big, built by the side of the school or very near. Quite often the sirens would go off just as we were sitting having our school meal. We would have to pick up the plate and take it with us to the shelter. This caused a lot of aggravation and mess, for some students (mainly boys) would shoot beans and peas at each other across the seats. Teachers had a difficult time trying to keep discipline, and not much food was eaten. Other times it was books, pens, and paper taken, all very tiresome. It was also pre-arranged that we were allotted a safe house on the route to school, usually half way there. These homes were quite often used as sirens would go off at any time. When the Doodle Bugs came that was entirely different, as soon as the sound stopped you knew the bomb was falling so it didn’t matter where you were. When the heavy raids were on Peter used to count the amount of aeroplanes in the sky, they came in masses and heavy droned. On bright moonlight nights you could see the formation of the planes clearly so we would have been easy targets. It was just a matter of luck really; the closest bombing we had was the house at the rear of us, it was completely demolished. When I was ten – oh when! – Oh when! Life was very different then. Word’s out, they’ve arrived, start selling tomorrow! Would you like to queue? A day from school borrow? To see one again, I sorely felt the need. The queue, for me at ten years old, was little aggravation. In single file it wound, snake like strong. Clutching ration books and waiting, I knew just what to do. For everyone was friendly and expected that you would. Or about loved ones, each held very dear. Were you near ‘the one’ that fell last night? The hole it left this morning, such a frightful sight. The queue kept moving slowly, inch by inch it went. Changing places, changing faces, as others in were sent. How many I wondered, would I hold in my hands? As I dreamily stood there making my plans. And when would I eat them today or tomorrow? Once they were gone I’d be full of such sorrow. I prayed they’d not run out, as often they would do. Excitement was mounting and joy was everywhere. Waiting finally over we were there at last. So I passed them over for his quick looks. As out went my hands eagerly to reach. They were MINE, I held them, nothing else to dread. It banished all thoughts of impending doom. As the juice spilled over, and ran down my thumb. To waste any now would be a mortal sin. How long would it be till another came my way? Who was to know, so I made the memory stay. When I was ten – oh when – Oh when! The War had been on now for four years and we were all sadly missing food. Our diet was strict and we never ever saw exotic fruits such as bananas, oranges, pineapples etc. Fortunately Dad was excellent in the garden and we did have soft fruits such as gooseberries, red currants, blackcurrants, strawberries, but of course they were seasonal. However, to have an orange was an absolute wonder. To this day I still hold an orange with reverence. I can clearly remember this occasion almost like yesterday, I was so excited when I got these two oranges, and it was unbelievable. I must say it did teach me never to take anything for granted; appreciation of food has stayed with me all my life. Always the same, I remember it well. Long coss lettuce of yellow green. Just as they’d come from the potting shed. Yellow seed cake which brought forth smiles. In the best china as hands were cupped. Without much lustre and little style. Cold and black devoid of wrinkles. Pins plunged in twisted and screwed. As they “OOHED AND AAAHED” with much inflection. I sat and watched the winkles plight. For some had stomachs like bottomless wells. Which held such magic for them and me. Sunday tea was mothers very favourite, I would lay the table and everything would be done correctly as if she was still in service. Somehow she managed to conjure up a cake by saving the meagre butter rations, but not often. All of the salad would have come from the garden, and this was splendid. Usually on these special occasions it was because Uncle Jim and Aunty Beat had come for a visit, and sometimes Uncle Fred. I don’t ever remember seeing his wife. Dad was very fond of his brothers especially Uncle Jim who had been with him in the Guards. There would be a man in the road selling the winkles and somebody would go out and buy a quart. I used to get pins for everyone so that they could deal with the winkles. After tea we would all play cards. I was very young about eight years old I suppose but they let me play with them. I loved playing cards ‘Newmarket’ and another game I can’t remember its name. Although I think it was called ‘Beat your neighbours out of doors’. We played for pennies and halfpennies and quite often I won, on reflection I don’t know if they let me or if it was just luck. Mother didn’t play cards neither did Peter, it was too tame for him. They taught me rummy and lots of card games and I still play cards usually once a week after bowls. Aunt Beat and Uncle Jim were very fond of me; they had married late and didn’t have any children. 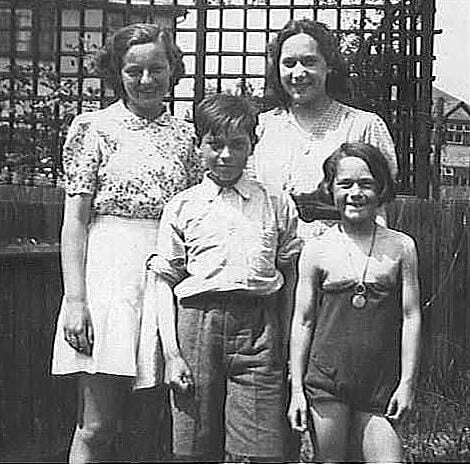 As I got older I used to go and stay with them for a weekend on my own, they lived at White City near London which was quite an adventure. They were a darling couple. at my own free will. Christmas was much revered and Mother would start saving for it months ahead of time. She would put things away in her bedroom in a cupboard by her bed, and I can recall sneaking in and trying to see what it was that she had. I clearly remember one time finding a packet of dates, those solid packed together variety. I was very excited and put them back safely. Being the baby of the family I used to love snooping around and spying on people. I suppose I was a nosey child. I don’t really remember us having a Christmas tree, I suppose we might have but it would have been just a branch or something like that. I do remember making paper chains with homemade flour paste, and we would hang them in the dining room. We rarely used the front room although it was always clean and tidy, and had a nice sideboard. It also had a settee with a pull down bed in it which was quite often used for visitors. There was a newel post at the bottom of the stairs with a loose fitting top, and Peter and I used to hide messages under it, also in the lavatory balancing them on the ballcock. One of the stairs creaked and we would try to avoid that so as not to be heard sneaking around. There was also a rope ladder that my brother Ted had made for the attic, he would drop it down and we would climb up it and hide. He would play with us when he was home on leave. We made our own simple fun whenever we could. Horsendon Hill was open space and walking distance from us, as we got older Peter and I would be allowed to go there on our own. It was a lovely country part with open fields which had corn growing in them and a pub half way up the hill. During the war it was a site of an anti aircraft battery, which was there protecting the factories making munitions. The main thing for us was sliding down the hill on trays in the snow. It was huge fun and lots of tumbles. Everyone wanted a white Christmas and in those days it seemed to happen at that time of the year. There was nothing better than walking in fresh snow and the sight was magical as the poem reflects. We would also make icy slides on the road and the pavement, very dangerous for people but we were only kids and didn’t think about that. Winter was good fun. 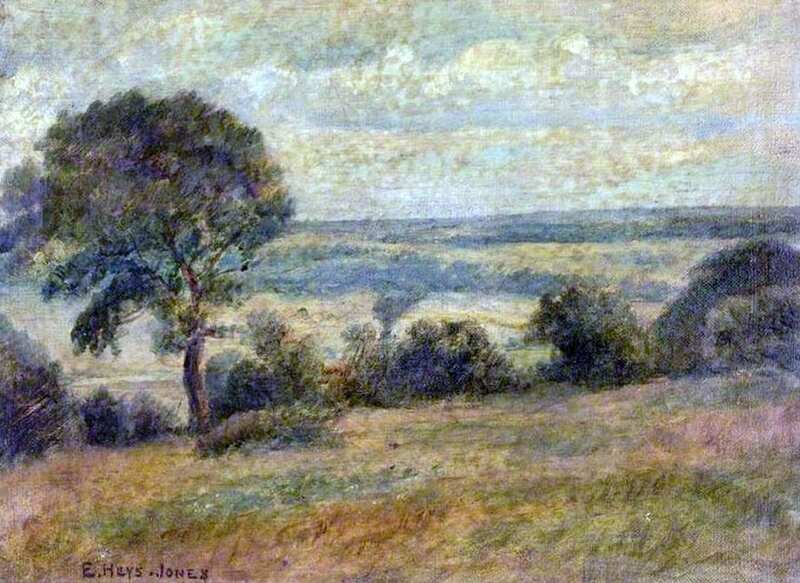 Mum and Dad used to often take me for a walk to Horsenden Hill, the views were magnificent and you could see right over London and on a clear day even Windsor Castle. They used to call into the Ballot Box pub half way up and I would sit outside with a glass of lemonade and one of those huge round dry biscuits. It was a lovely day out and usually a Sunday. English Heritage in 1987 looked into Horsenden Hill and its Iron Age Settlement in Greenford 848. I believe it is still very popular and quite lovely. as we make our silent wish. with those of whom we’re fond. with a special kind of bond. I’m sure you used to make Christmas Puddings with your mother, it was traditional. Needless to say it was very difficult to make puddings during the war as we had no dried fruit, and very little ingredients for such a luxury. However, Eric and Valerie used to send us food parcels from Australia and sometimes in them there was dried fruit. If we had a parcel during the year mother would store away whatever she could, and I think that is how she managed to keep this tradition alive. We all had a turn at stirring the pudding and made our wish, I expect we all wished the same thing longing for the war to end. 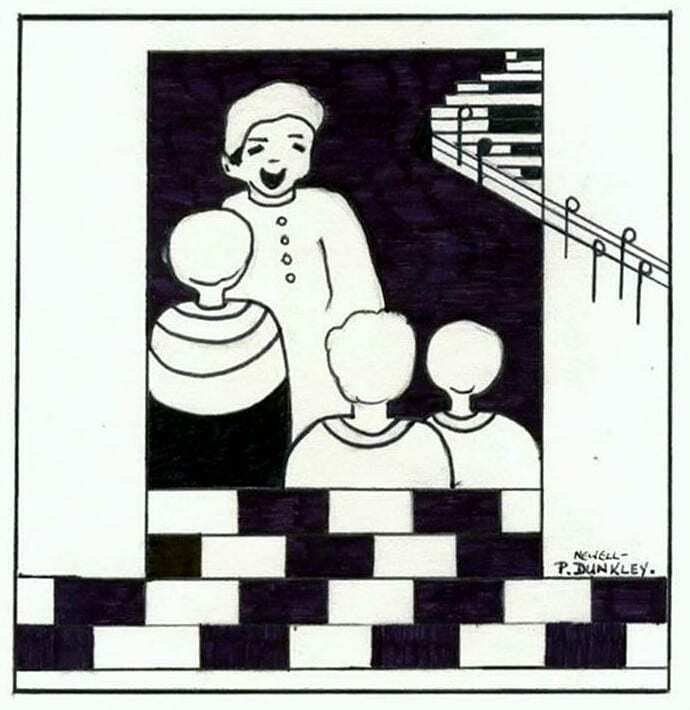 Mother was a cook and knew everything about food, she was particularly proud of her puddings. They were beautiful and black in colour, and very rich. She also had a special recipe for fruit mincemeat, and made delicious pies with really short pastry. I kept the tradition going while ever she was alive and beyond, but no longer. I still have her recipes. Five to six ounces of Self Raising flour. Three to four eggs according to size. Have a large bowl ready into which you put first the washed currants, raisins have to be separated (pulled apart)sultanas, peel, brown sugar, next the crumbs, add teaspoon of mixed spice, whole grated nutmeg, add the scraped apple, suet, add orange peel then the juice, add the carrot, then add the flour, add eggs to the mixture. Also add 1 good sized tablespoon of quality brandy. Stir all ingredients well together and make wishes. Cover with cloth. If your mixture looks a little wet just add some more fresh crumbs. Grease a basin very very well with butter. Put mixture into a large basin to quarter of an inch at the top. Cover with grease proof paper twice and then cover with white cloth big enough to tie over the top of the basin with string. Boil the pudding for six hours NO LESS, you can do this before Christmas. Then on Christmas day boil for a good hour. Make sure that you keep the water bubbling all the time in the saucepan and keep topping it up. Serve with hard brandy sauce, custard or cream. Boxing Day you can eat it cold or fry it in slices in a little butter to warm it up. Delicious. One pound of Currants, One pound of Raisins, half a pound sultanas, quarter pound chopped peel, One pound shredded beef suet (you shred from the butcher), One pound of Demerara sugar, finely grated rind and juice of two lemons, One level teaspoonful of ground nutmeg, Half a teaspoonful of mixed spice, half a level teaspoonful of salt, One and a half cooking apples, six to eight tablespoons of Best Brandy. Pick over fruits washing currants. Mix with Peel, suet, Sugar, Lemon rind and juice, spices and salt. Grate the apples on coarse grater with peel, add the Brandy, mix well. Leave overnight and pack into jars one inch from the top. Store in a cool dark place. Makes eight pounds and this can be halved. The children’s voices raised in hymn. When all of life was fresh with truth. Those are the years when we should glow. Friendships made in that careless way. Rough seas I’ve travelled far and wide. To my teachers I’d smile and make a bow. Sing up children – make them last. When I was fourteen years old I was able to go with Peter to the Youth Club at Greenford Community Centre. He had a close friend named Fred Horsted and together we would spend happy times playing table tennis and meeting up with other members. It was here that we met and made friends with many names that would crop up later in our lives and still do. 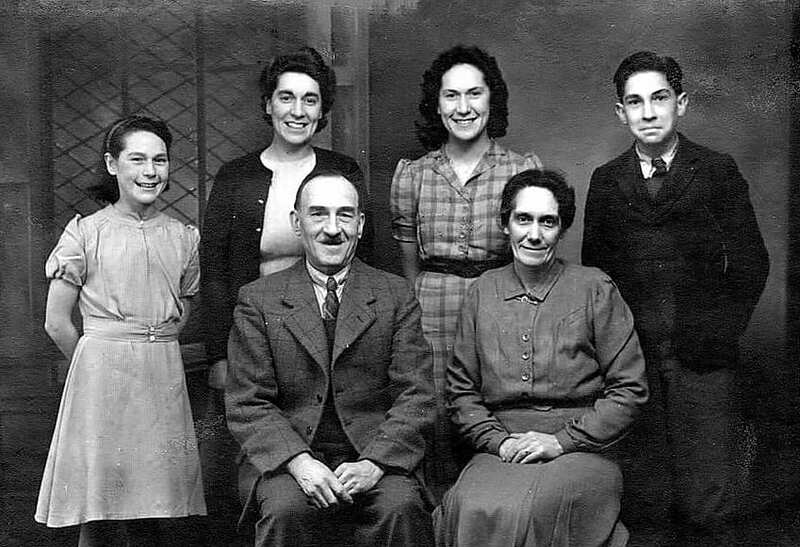 Rowland Whitehorn, Fred Horsted, Ron Seagrove, Butch Riches, Sheila Humberstone, Joan Woolford. With the exception of Sheila all of these friends in time would visit us in Australia, on a regular basis, and we did likewise on our visits to England. It was at the Youth Club where I met Reg Dunkley and when I was twenty two years old we were married. We are still in touch with friends from the Youth Club but now on emails and Facebook. How times have changed. On one of our trips back to UK I decided to visit my old school Ealing Modern at Northfields. I found this very emotional as the memories came flooding back to me when I heard the children singing. 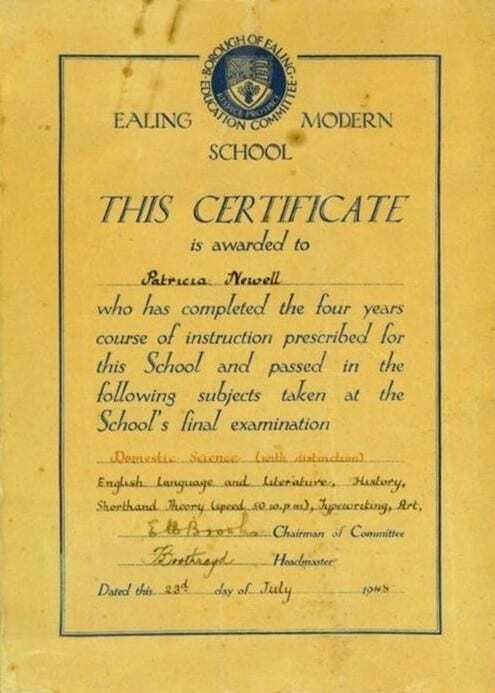 I was eleven years old when I won a scholarship; it was a very exciting time as I would be the first in the family to have an extended education. Up until then everyone started work at fourteen years old. Dad was not really keen about the idea but mother was determined that I would go. It meant that I needed a special school uniform and all the trimmings; we never had any money for that sort of thing. So being a tailor Dad made my uniform, but unfortunately not with box pleats, mother made the blouses. I also had to have a school hat and tie which we had to purchase, so they were very special. It was a wonderful school and had a fabulous gymnasium with all sorts of equipment. It also had a complete separate little house, or you could say an apartment. This comprised of a dining room and an excellent kitchen big enough to teach cooking in, also a couple of bedrooms and a bathroom. This was where we went for Domestic Science. We would cook the food and serve it correctly, also learn how to make the beds and change the linen and keep the bathroom clean. I loved the school and was very happy there. I used to walk to Greenford and catch the bus to Northfields, this was quite a distance from us and it was a long day. The war was still on as it was 1944 so another year until it ended, however, there were not so many air raids. I was there for four years and on completion I received a Distinction in Domestic Science, and passed in English Language and Literature, History, Shorthand Theory (speed 50 w.p.m. ), Typewriting, Art. I was never any good at Maths or French. Two years into the school it changed its name to Walpole County Grammar. I was never sure why this happened and it didn’t seem to alter anything except for the different name on letterheads and our school magazine. I was quite good at sport mainly running and was in the School Netball Team, but I never learnt to swim. When I left school I was just fifteen years old and I got my first job straight away. I worked at Martins Bank, 68, Lombard Street, Bank, right in the heart of the financial area of London. Banking has taken place on this site since 1563. It was a very exclusive private bank with beautiful black and white tiles throughout the building and large open areas. I worked in the Loans department as a Junior Clerk, shorthand typing, filing, and handling all of the signatures that would come in. I had to go down to the dungeons where they had copying machines, rather like photography and put the signatures in special liquid to make them appear and then file them away. It was wonderful to be working and I got about six pounds a week which was huge for those days. They were very strict in the office; we had a man in charge called Mr. Pickering, Accountant, who used to stand outside the door listening to hear if we were talking. (There is always someone to gum up the works.) It was a long way to travel from Greenford Railway Station but the underground went all the way to Bank, with just a small walk the other end. Martins Bank was bought by Barclays Bank in 1969 but I expect the huge grasshopper sign would still be up somewhere and I think they still use it on their letterheads etc. For any of those interested there is a book on line called “The Grasshopper” in Lombard Street, by John Biddulph Martin dated 1892 with its recorded history of the bank. Migrating to Australia was the turning point for us. We packed our goods and chattels with very little fuss. Set forth across the ocean to that warm and sunny land. Where food was full and plenty and you didn’t have to stand. So long we’d had to battle, no longer did we care. Like so many others our cupboards were quite bare. The link with Australia had been with us all the while. We’d talked of it with wonder, in awe of its life-style. 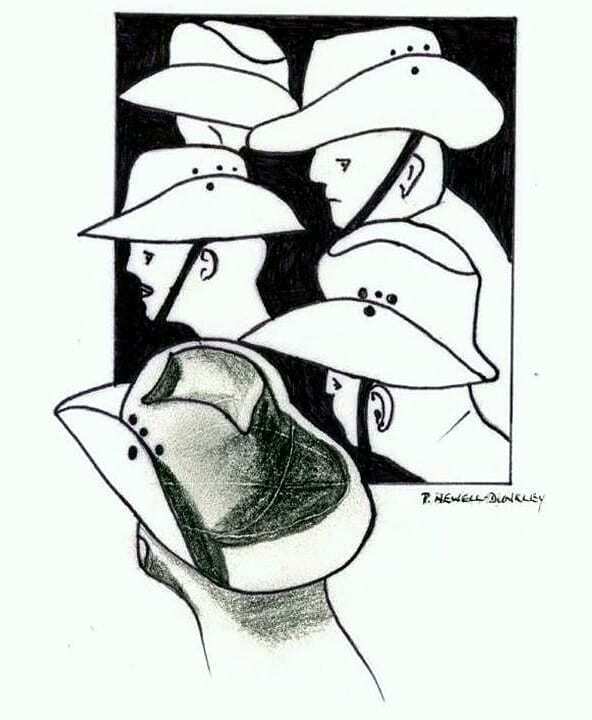 Aussies we’d met in the 1914 war had a winning way with them. They were tall and handsome, such truly rugged men. But here again in 1945 buried with our dead. So we’re off to see the country of which we have been told. Wondering about the future and all that it might hold. at the time. Our ship was P.O. ‘Ranchi’ and we travelled through the Suez Canal, Aden, Malta, Port Said, Colombo, Singapore, Fremantle, Melbourne, Adelaide, Sydney. Peter and I enjoyed going ashore at the ports and exploring, it was a good route and interesting. 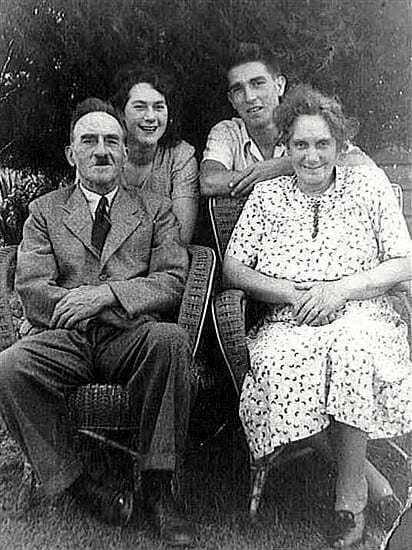 Ever since my brother Thomas Eric had left England for Australia in 1938, travelling under The Big Brother Movement, mother had yearned to be with him. 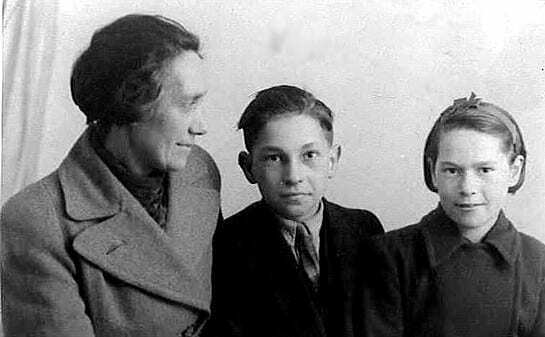 He was her eldest son of three and when the war broke out he could not return to England. Instead he joined the Australian Army and served with them. At this time Peter was just about to become eighteen, and had he not gone to Australia he would have had to serve for two years in the forces under conscription which was in existence at the time. Mother did not want that and neither did Peter. It was a very nice ship; the women were put together and the men likewise. mother and I had a cabin with an Irish lady who had four children travelling with her. 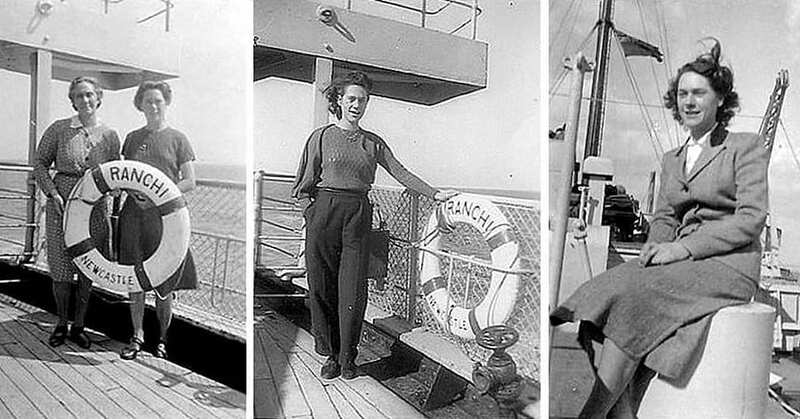 Unfortunately Mother was seasick for the entire journey and was very ill, spending most of her time in the cabin. Being of very nervous disposition Father thought the ship was going to sink whenever he heard it creak. Peter too was very sea sick but kept eating because the food was lovely and plentiful. I was only poorly in the beginning and then I got my sea legs. I had quite a good time and played table tennis and deck quoits and any other games that were organised. We ate everything we were offered, it was so wonderful to see such bountiful food and fruit. I made friends with a few of the passengers and one girl in particular who was travelling on her own. She was a nurse and we kept in touch for years. She lived in Bellingen, Victoria; she married an Aussie and had six sons. We visited her on our way to Tasmania one year, she was a lovely woman. I also made friends with the Quartermaster a man named Steve, he had a little crush on me and we kept in touch for quite a while (I still have his letters). It was all good fun and after so long deprived of pleasure we enjoyed ourselves. The trip took six weeks and we arrived in Sydney in March and I had my 16th birthday on the 20th. I had a job waiting for me which had been arranged by Valerie Newell’s Aunt Edna Nelson and I started work the day after I arrived at a firm of Solicitors named Baldick and Macpherson, 14 Martin Place, Sydney. They were very posh and a bit snooty; I stayed there for two years and learnt a lot about Conveyancing both inside and outside the office. Searching at the Land Titles Office, visiting the District Court, the Divorce Court, learning about Company law, and exchanging contracts. Typing Briefs. There was a large staff. Miss Cleminson Probate work. Mr.Spruitt Accountant, Mr.O’Connell Surveyor, F.G.W.Walsh Solicitor, O.M.L.Davies, Divorce Solicitor, Mr.H. Pilling Solicitor, Mr. O’Donahue Barrister. Plus six women in the office. It was a difficult time working in a new environment and trying to adapt to a different life style. The heat was a problem and nowhere was air conditioned in those days. My next job when I was eighteen was with another firm of Solicitors just around the corner from Martin Place. Messrs. Raves and Poole, Stock Exchange Building, 113 Pitt Street, Sydney. This was an entirely different company and I worked with Mrs.Phillips in the accounts department, and covered the outside work as well as general office work. I was very happy here and we became firm friends. 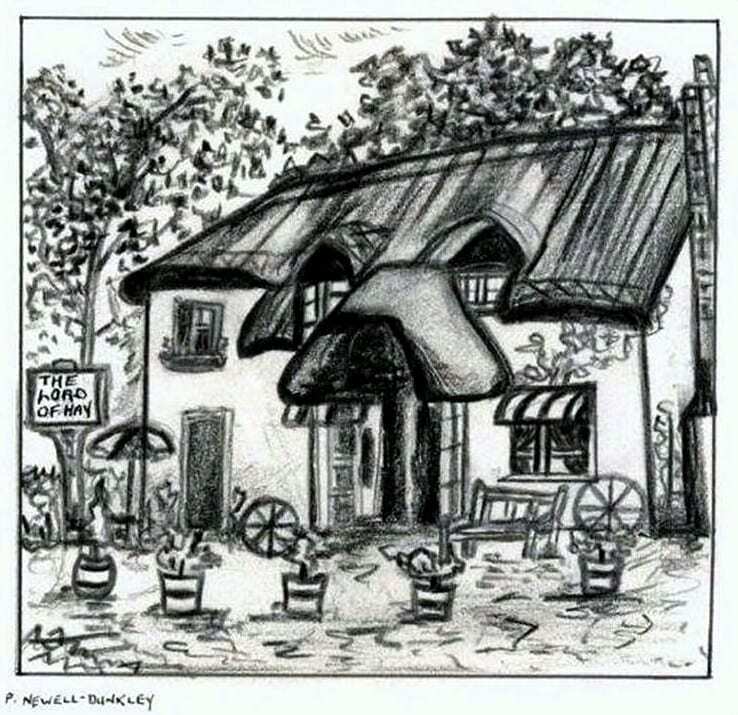 Her husband was a professional artist and she went to work. It was she who later organised for the whole family to obtain mortgages privately through the firm to enable us to build our own houses. Mother and Father, Ted and Esther, Reg and myself, without this assistance we would have been lost. This was also when Janine McGregor came into the family, working for Mr. Poole as his Secretary. We became friends and I introduced her to Peter and they were married a year after Reg and I. 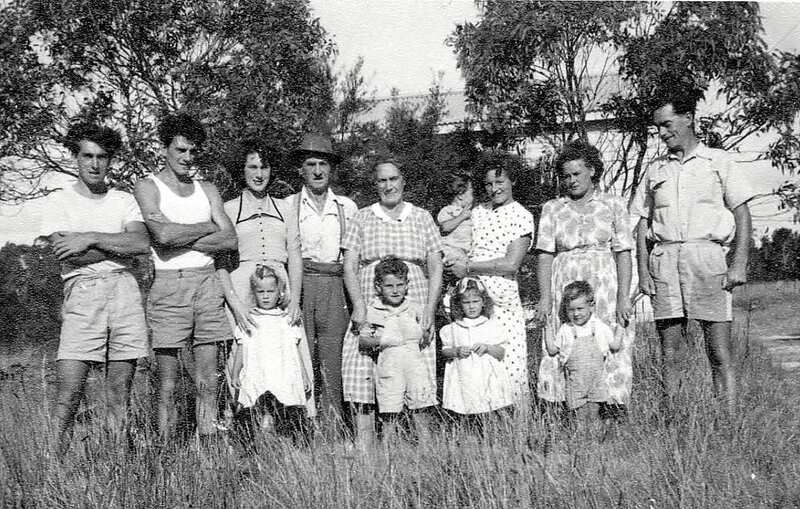 During 1949 my brother Ted (Edward) and his wife Esther and two small children, also migrated to Australia travelling on the ‘Empire Brent’. Reg also joined us in September the same year travelling on the ‘Largs Bay’. His ship caught fire in the Suez Canal and had to be abandoned, using the lifeboats back to Port Aden where they stayed for three and a half weeks while repairs were carried out. During this time the “Empire Brent” sailed in to Port and Reg joined a small ‘Gilly’ boat selling their wares, to see if he could see Ted and Esther and wave to them. They were astonished when they saw his red head in the boat as they knew nothing about the fire and thought he was in Australia. Reg had his eighteenth birthday on arrival. My sister Dorothy followed in 1956 and was the first one to come by air. The eldest in the family my sister Peggy and her husband decided to stay in U.K. 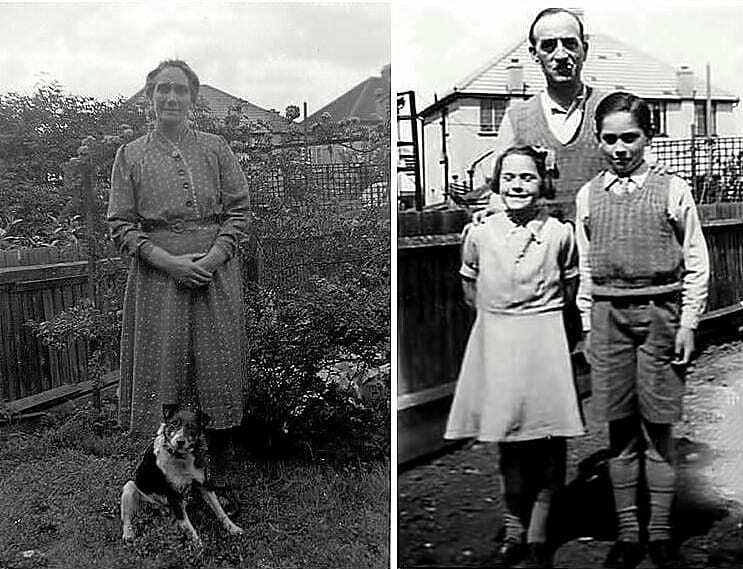 Her husband John had been away for six years and needed to settle in his homeland after the war. Childhood was well and truly over now and it was a matter of adjusting and getting used to a new lifestyle.